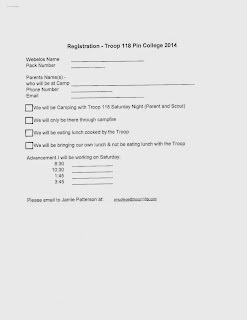 Our Troop 118 is sponsoring a pin college for Webelos. 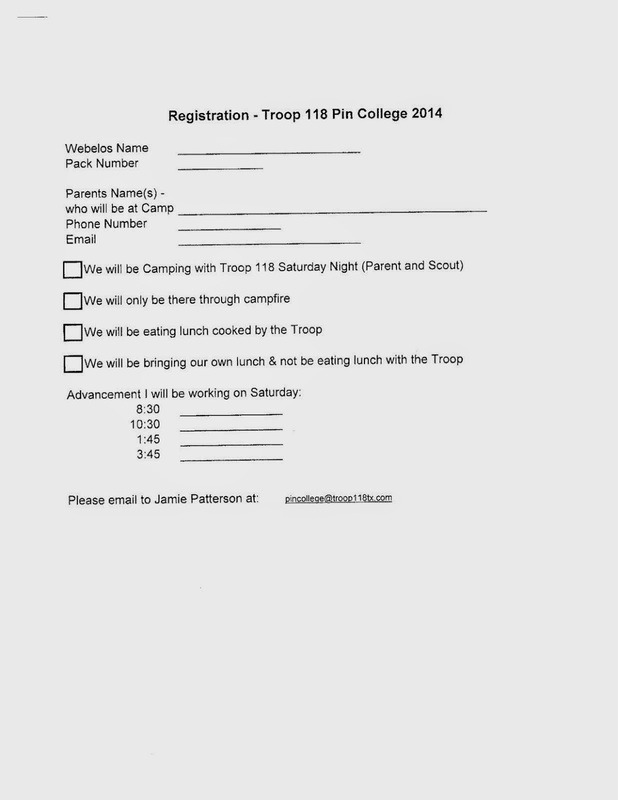 If any of the boys want to attend, have their parents complete the attached form. We would love to have them there. Free Survival bracelet to Weblos that complete challenge! · Scout made rope bridge - don't fall in the "alligator pit" below! · Build a campfire - timed event! · "What is wrong with this campsite?" Plus-Plus - Openings available, come join us.